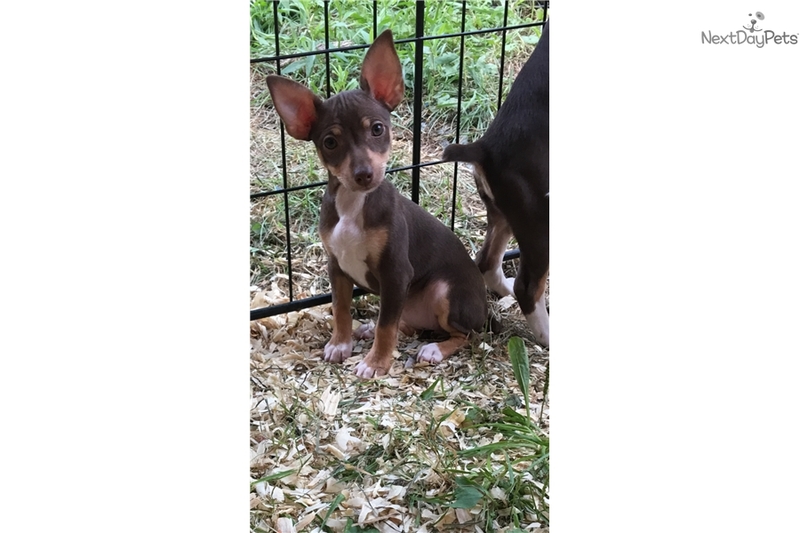 This Rat Terrier nicknamed Female Pup 1 sold and went to a new family. Chocolate tuxedo, white with tan points. Should mature as mini. Will post individual pics shortly. Parents PLL clear. Cardiac and patellas vet verified. Puppies will have shots UTD, wormed and vet checked prior to leaving. Delivery or shipping available.